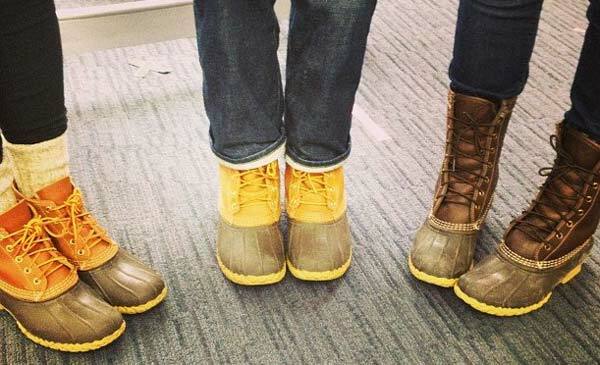 6 Inch vs 8 Inch Work Boots: Which Boot Will You Need? When it comes to work boots, you generally do not take much time to look into sizing and we choose a boot that does not only look great but has some functional features to help with everyday activities as well. However, work boots do come in 6-inch or 8-inch sizes and the differences will depend on your needs. Starting off, we have the 6-inch boot and this boot is slightly smaller than the larger 8-inch design. The design has been made to offer you decent ankle and joint protection, but also allow for air to pass through the collar and cool down your feet much more sufficiently. These boots are generally much lighter as well and they seem to work best in open conditions. The 6-inch boot will be perfect for those who work on farms and it works well with virtually any wardrobe as well. The boots are light, which means they can be used for hiking longer distances and should you need to tread into the uneven ground, your ankles and joints will still be protected from any damages that might occur. Furthermore, the 6-inch boot goes well with shorter clothing. The longer boots might not look as great with your short farm pants and this means you need to wear something warm in the middle of the summer. Since they are found in many brands and colors, the boots can match virtually any wardrobe that you desire to wear. Another important area of life where a shorter boot is used will be when working in the commercial industry and when working in the city. It is generally considered professional to have a shorter boot and while oxfords might not be 6-inches, they will stand out as one of the top shoes for helping you look a little more professional on the job. The 8-inch boot is certainly not the boot you will be wearing when in the city. 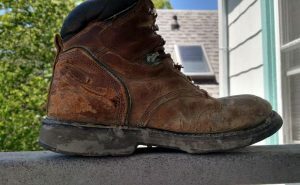 These boots are generally reserved for hikers and those in the construction industry; however, we have seen a couple of loggers choose them as the boot of choice as well. Since they are a little larger, they will be warmer as well and you will need to have some additional features when looking for ventilation. The 8-inch boot is perfect when it comes to keeping you protected. The larger design means that it comes up much higher on your leg and it can be perfect for walking in bushy area. Nothing can be more frustrating than having something craw into your boot and keep you frustrated for the duration of your trip or the working day. When looking for an 8-inch boot, you will need to put in a little more effort in your search and find some additional features that will help you during the day or at work. These boots can often cause some frustrating abrasions and this can be rather painful if not cared for. The inner collar seems to be one of the major factors that you need to consider when selecting one. One of the common denominators that we did find with these boots is the fact that they are mostly designed for outdoor use and they are a little more versatile. The waterproof feature is generally included and this means that you need not worry about having water penetrate your boot when you are in the wilderness. Which Job Will Work Best With Each Boot Size? Loggers will be on the search for something a little larger and the reason for this is the thick bushes that need to be worked through when they are on the job. With so many threats in the forms of bushes with thorns and insects, having a longer boot of around 8-inches will ensure that none of these things can do any real damage. Depending on the terrain you will be hiking, this can be different. When it comes to thicker vegetation, you will be looking for something longer and the reason will be the same as that of loggers. While open terrain will require a shorter boot and this will enable some decent ventilation to pass through the boot and keep you cool. Construction workers might not really place too much emphasis on the sizing of the boot and they will mostly focus on having as much safety features as possible. 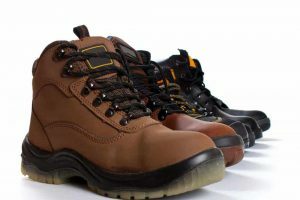 These workers can generally choose any boots and they will settle for the most comfortable boots, whether it is the 6-inch or the 8-inch design. If you are a construction worker, we do recommend focusing on safety first. While these two sizes in the discussion might not really apply to the corporate world, they are still really fundamental when it comes to boots used in the city. If you had to choose one in the corporate industry, having something smaller and shorter of size will definitely look a little more professional as well and we would recommend looking at your best. 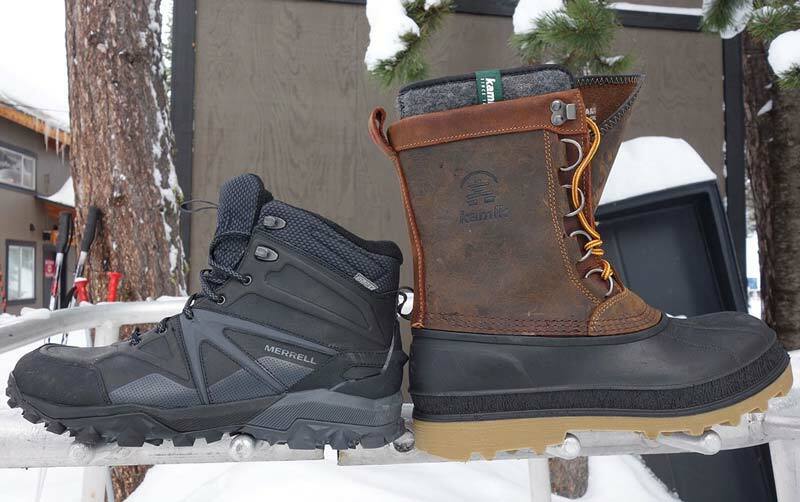 We cannot say for certain which of these boot sizes is the best without causing some type of stir and after testing them, they both seem to work well. It will all come down to some of the additional features and the brand when selecting your boot and this will play the biggest factor in whether you like the boot or not. 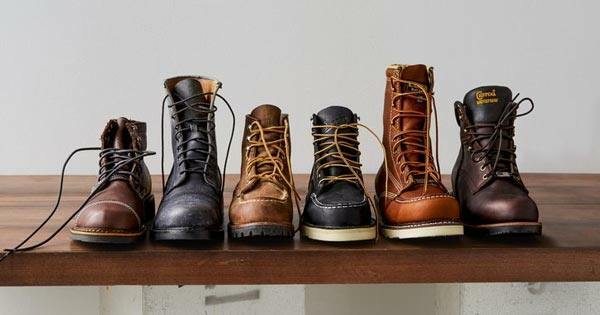 We would like to thank you for reading this article and we would like you to share some of your thoughts on the sizes of the different boots. If you are a user of these boots, we would also like to know in which industry you are working with them and why. We look forward to reading a couple of your comments in the comment section. 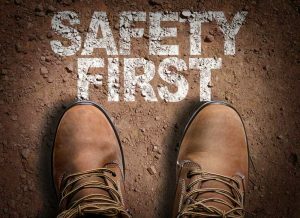 Alloy Toe vs. Steel Toe Boots: Which One is the Best?